JazWalk founder Keana Jacobs, has over 20 years of experience as a professional dance instructor. A dancer since the age of nine, Ms. Jacobs got her start performing in LA area talent shows, showcasing her passion for dance and choreography at an early age. By age 12, Keana began formal dance training at Hawthorne Dance Academy. In her first year with the program, she received the coveted “dancer of the year” award. The passion that led her to participate in shows at 9, grew into a desire to share her gift with others. As a result, she began serving as an instructor at the age of 15. Her warm disposition and high level of energy benefited her in this role, translating as attributes that served her well when teaching others. Keana continued her training as a student at Paul Kennedy Dance School in 1996, and later became one of the lead dancers with Zenith Dance Company, where she remained until 2000. With Zenith, Ms. Jacobs had the opportunity to perform in various programs, including competitions and shows for up-and-coming artists. Out of 500 dancers, she was selected as one of the 15 Spotlight Awards semifinalists and was a competitor for the NAACP ACTSO awards held in Atlanta. 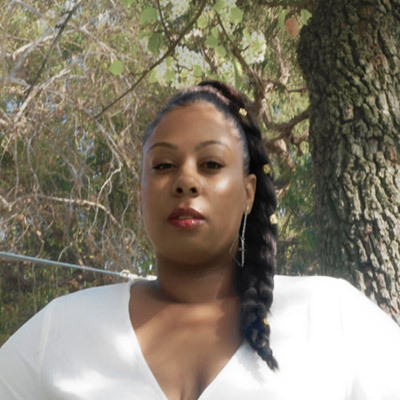 In 2000, Ms. Jacobs began training at El Camino College where she studied business management and dance history. She also became a member of El Camino’s dance company, Qui Geometer, through which she met professional dancer and choreographer, Katisha Adams. Under Ms. Adams, Keana danced in her first music video, “Monica Monica”, by recording artists, Before Dark. The partnership with Keana Adams proved productive. While with Ms. Adams, Ms. Jacobs had the opportunity to work with legendary dancer/choreographer Debbie Allen for two years, performing as the African queen in Ms. Allen’s production, the Chocolate Nut Cracker. After a brief hiatus, Ms. Jacobs returned to the stage to perform at the 2007 BET Awards as part of the opening performance with comedian, Monique. Being relentlessly results orientated and dedicated to achieving the highest possible standards, Keana has a gift to inspire passion in her students. Her comfort level and confidence teaching large groups of children in a classroom setting has enabled her to develop a successful track record of improving students’ knowledge and understanding of dance. Keana has experience teaching all age groups and not only understands the needs of students, but also has the ability to quickly engage with them. During her career she has taught in private dance schools, afterschool programs, for church youth groups and has choreographed in high school and college productions. In addition to this she is trained in ballet, jazz, lyrical, hip hop and tap, along with some specialty styles such as African, swing.